"Discover How To Achieve Success In Your Business As An Entrepreneur Using These 100 Powerful Tips And Tactics..."
How to find the right opportunities. Opportunity is all around us, but what's going to make you successful? How to identify your target customers/market. If you don't know who your target market is, then you don't have a business. Follow these tips. 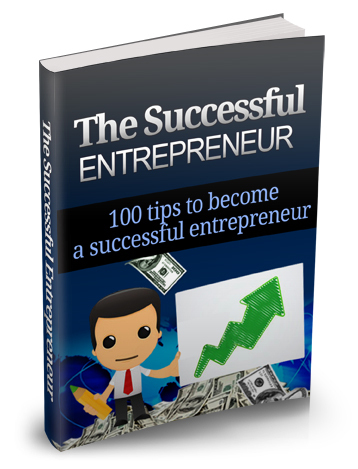 Keep and read this guide as a reference as you'll be getting 100 powerful success tips to help you become a successful entrepreneur. You can get all this today for a measly $7.00! So go ahead. You have nothing to lose. Grab your copy .